Posted February 8, 2018 by Aaron Cox & filed under Real Estate, Taxes. In recent years, it’s become fairly common to hear local officials and journalists talk about the idea of a “renaissance” in Detroit. It’s true that downtown Detroit is undergoing some very positive changes, but sometimes urban renewal can have unintended negative consequences on a city’s most vulnerable residents. In San Francisco, for example, rapid commercial development has eliminated affordable housing in many neighborhoods, generating economic inequality and forcing long-time residents to leave their homes. That’s why officials in Detroit are instituting new policies to ensure there will always be enough housing for anyone who wants to live in the Motor City. Arthur Jemison, director of Detroit’s Housing and Revitalization Department, outlined a few of these policies in a recent interview with local news station Fox 2. The department’s current goal, according to Jemison, is to protect Detroit’s affordable housing availability for the next three decades. To accomplish this ambitious goal, Detroit is offering special incentives to developers who include affordable housing units in construction and rehabilitation projects. In one notable example, the city offered tax abatements and contributed $450,000 to the Milner Arms renovation project in Midtown. In exchange for these benefits, the developer has pledged to maintain 93 of the building’s units as affordable housing. 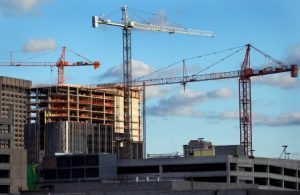 Detroit has also enacted a new regulation which states that developers must reserve 20 percent of their residential projects for affordable housing in order to receive discounted land or city subsidies. In 2017, roughly 750 units entered a preservation process which guarantees their affordable housing status for 30 years. According to Jemison, the Housing and Revitalization Department will use “every instrument in our toolbox” to preserve Detroit’s affordable housing. It may take a while to see the results of these efforts, but it certainly seems like a good place to start.